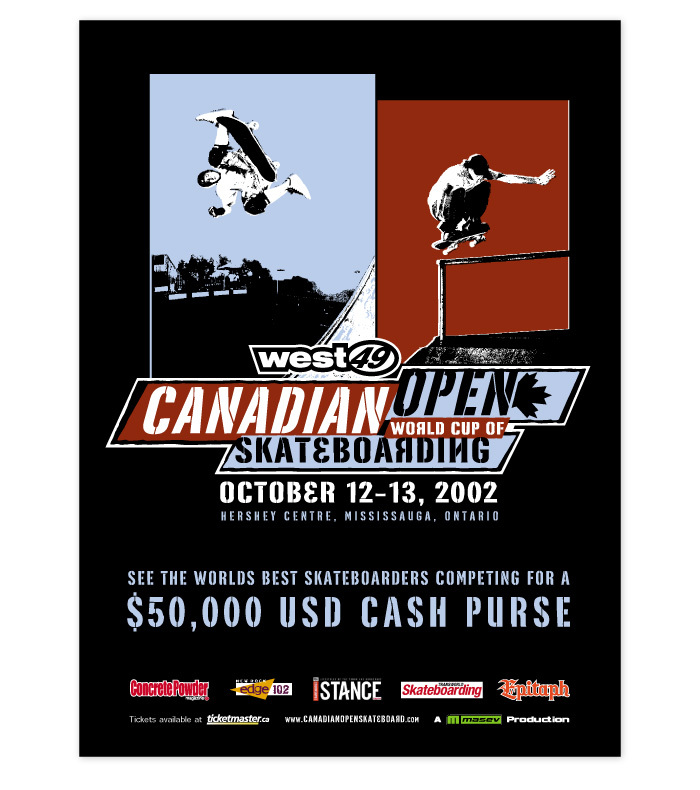 Canadian Open World Cup of Skateboarding contest logo, an International-level Pro skateboarding contest that took place in Toronto, ON featuring the biggest names in both halfpipe and street skateboarding. Other promotional collateral for the contest included ads placed in TransWorld Skateboarding magazine, bus shelter ads, postcards, and a full contest website. Canadian Open World Cup of Skateboarding contest postcard. 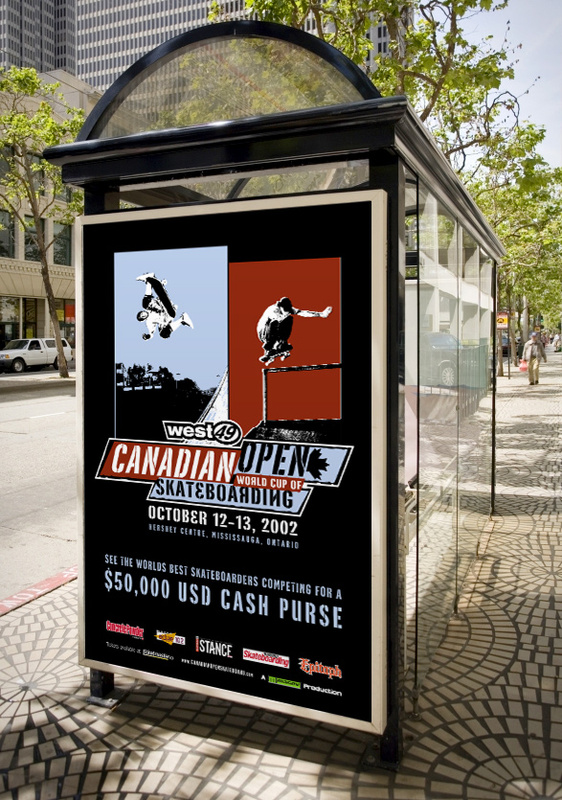 Canadian Open World Cup of Skateboarding contest bus shelter ad. See also Metro Jam BMX Contest logos and Metro Jam BMX Contest Ads.